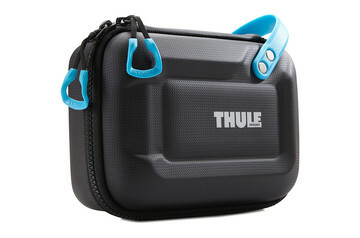 Thule GoPro® cases are ideal for helping you capture all the action. Smart, stylish and secure protection, they make sure you’re always ready to go. Durable GoPro® case with smart organization for essential accessories to capture your next great adventure. 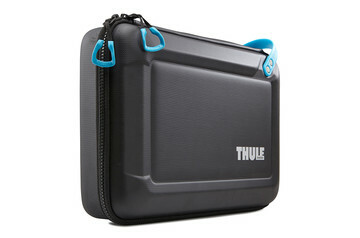 GoPro bags and cases from Thule help you film your most demanding adventures. It’s not just the stylish yet rugged storage and protection that helps you carry your equipment from A to B safely and securely. There are also specially designed options that let you mount your GoPro and capture great footage. Just choose the bag, case, backpack, or sling that’s perfect for you and your action-filled adventure. As we all know, GoPro cameras have revolutionized how we film our adventures, letting us push the boundaries to capture extraordinary footage from the heart of the experience. So at Thule, we also know that our GoPro cases and bags need to withstand punishment way beyond the norm. We’ve done everything we can with the design, materials, and testing to ensure your camera stays completely safe, secure, and ready to go – however far you and Mother Nature want to push the limits.